Nursing homes and other long-term care facilities (LTCFs) are gearing up for a major overhaul of the Medicare Conditions of Participation (CoP) or Conditions for Coverage (CfC) following the release of a proposed rule (pdf) from the Centers for Medicare & Medicaid Services (CMS) that would revise the requirements that LTCFs must meet to participate in the Medicare and Medicaid programs. CMS released the proposed rule on July 16, 2015. The proposed requirements are part of the Affordable Care Act (ACA). was in 1991, despite substantial changes in service delivery in this setting since then. The proposed rule, "Medicare and Medicaid Programs: Reform of Requirements for Long-Term Care Facilities," includes substantial changes. In the past, the ACA called for acute care facilities as well as ambulatory surgery centers to add quality assurance and performance improvement (QAPI) to their practices. QAPI is now an everyday term in acute and outpatient care settings, and the proposed changes for long-term care includes the introduction of QAPI to LTCFs. QAPI integrates many disciplines, including infection prevention and control (IP&C). The proposed rule includes major changes for IP&C in LTCFs. Nursing homes will most likely see their IP&C practices closely scrutinized during surveys and visits from officials, especially since the new ruling calls for designating a staff member who will be known as an "infection prevention and control officer." This "officer's" main responsibility will be to the IP&C program. Until this ruling, most nursing homes designate IP&C responsibilities to a staff member or members who fulfill many other rules. They include, but are not limited to, the director of nursing, assistant director of nursing, educator, wound care nurse or registered nurse assessment coordinator. This ruling will require a major shift in leadership at the IP&C level as the officer will be primarily responsible for the additional "requirements" and changes. They include a "system for preventing, identifying, reporting, investigating and controlling infections and communicable diseases for all residents, staff, volunteers, visitors and other individuals providing services under an arrangement based upon its facility and resident assessments that is reviewed and updated annually." The assessment more than likely will be akin to the risk assessment that is a requirement in acute care facilities and forms a large part of the IP&C/QAPI program. In addition, the IP&C officer will be responsible for incorporating an antibiotic stewardship program into the overall program. It would be prudent for nursing homes and other LTCFs to begin considering how these major changes are going to be introduced and addressed as it is inevitable that most, if not all, of the proposed changes will come to fruition. Foresight and appropriate planning will reduce the stress related to major changes when they suddenly become law and better help ensure compliance. 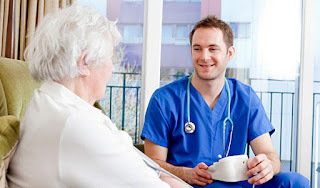 Infection Control Consulting Services (ICCS) is leader in long-term care infection control consulting. ICCS's founder Phenelle Segal has extensive experience providing nursing home and LTCF infection control and prevention services, including but not limited to onsite "best practice" assessments, comprehensive infection control plans and programs, risk assessments, infection reduction goals and strategies, and antimicrobial stewardship guidance. In addition, ICCS provides remote educational programs. Phenelle has conducted long-term care presentations in various states nationwide and was the lead infection prevention analyst for the Patient Safety Authority assisting with development of mandatory requirements for nursing homes in Pennsylvania — the first state in the country to implement such requirements in 2008. Contact ICCS today to learn how we can help prepare your LTCF to meet the new requirements.